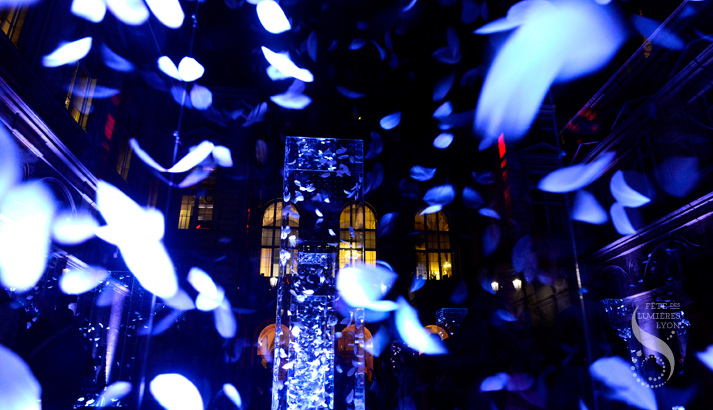 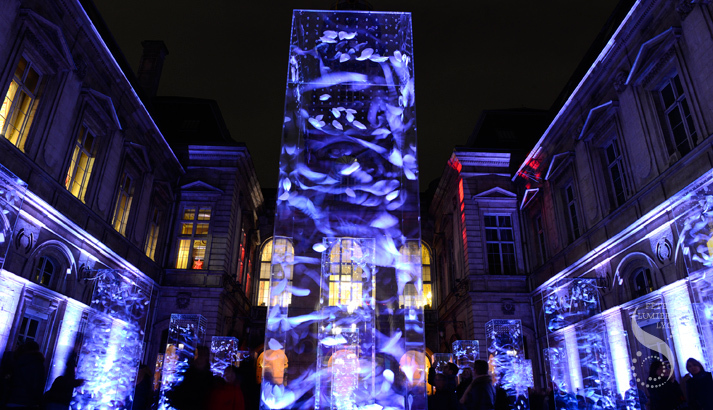 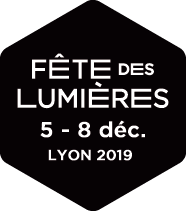 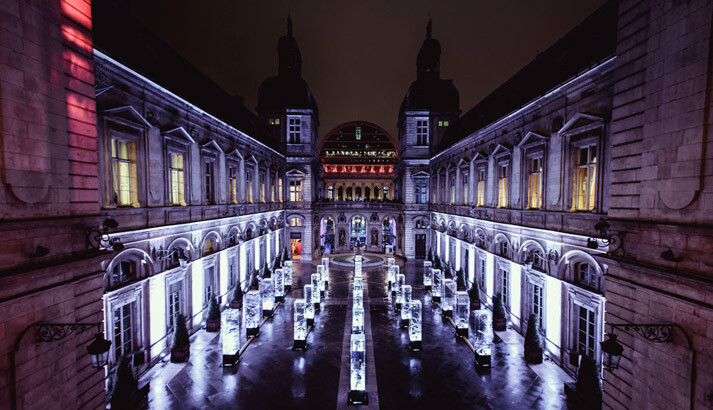 Discover the spirits of the wind in the City Hall courtyards, which have been transformed into an ephemeral sanctuary. 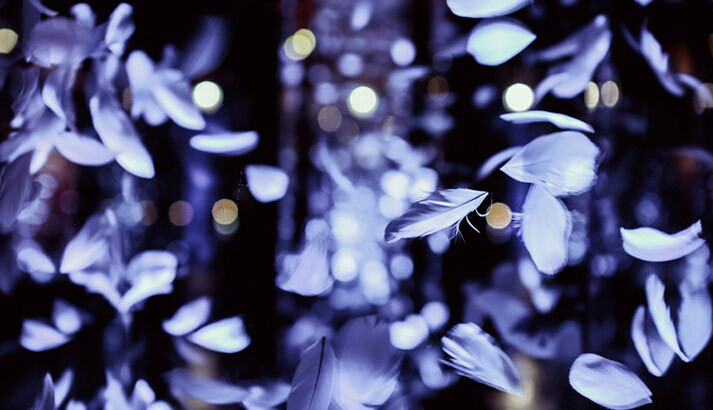 Materialized by a multitude of feathers carried on a light breeze, they dance and whirl in a ballet of light inside large transparent monoliths. 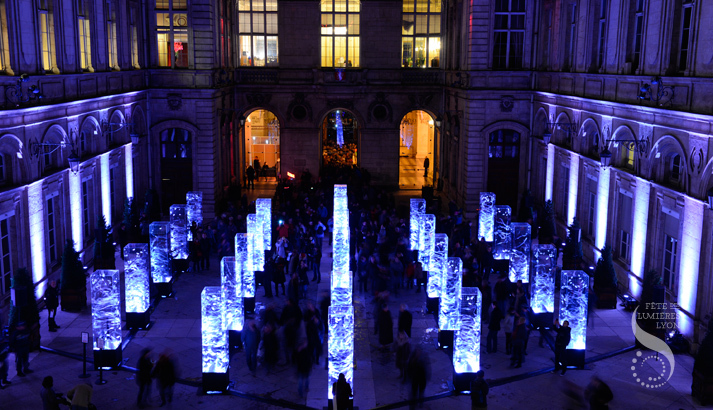 Let yourself be wrapped in the peace and poetry of the site!